These baby blankets are made from 100% Certified organic cotton handcrafted in California using materials sourced in the United States. The cotton is of the highest quality, grown and manufactured according to the strictest environmental standards. 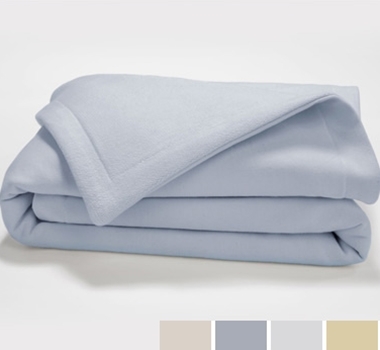 All blankets are free of pesticides, synthetic fertilizers, and irradiation. The result is a pure, natural fabric that is as healthy for your baby as it is for the soil, air, and water, and the agricultural community that supports its production. Everything that goes into these blankets – including the fabric and the thread – is made in the U.S.A. This not only ensures compliance with environmental and ethical standards, but it also means that local families are supported. The gentlest, purest organic cotton is all that will touch your baby’s tender skin with this sweetly soft and breathably cozy baby blanket. It’s both warm and lightweight, surrounding your little one with the secure embrace of natural comfort. only locally sourced, certified organic dyes to color the blankets. Available in Natural, Stone Blue, Arctic Grey and Golden Wheat. Only locally sourced, certified organic dyes used to color the blankets. Please note that Stone Blue, Arctic Grey and Golden Wheat colors are custom made to order. These colors will ship within 3-4 weeks. White is not custom made and ships immediately.